Our Classic Tours are for first time visitors. Experience the unmissable highlights of Argentina & Chile with our Classic Tours. Create your own tailor-made itinerary by combining those Classic trips which excite you the most. Who are Classic Tours for? Have ten days to three weeks available for travelling in Chile and/or Argentina. Are experiencing Patagonia for the first time. Want expert advice to help them create the ultimate travel experience based on the unmissable highlights in each region. Want the flexibility to tailor-make and craft their own itinerary by focusing on those regions which most interest them. Choose one of our most popular 2-3 week itineraries from the bottom of this page. Select your favourite trips from the regional carousels below and piece them together like building blocks to create your perfect itinerary. Call or email us to so that we can discuss your plans and help you create your ideal holiday. Mountains: Andean volcanoes, grasslands, forests and glaciers clad the world’s longest mountain range. Multi-activity: A wilderness playground for hiking and adventure sports. Wildlife: Pumas, guanacos, rhias, condors, penguins, orcas and whales are but a few species in this region’s rich tapestry of fauna. Culture: Enjoy a vibrant mix of immigrant cultures mixed with indigenous Mapuche influences. Wine regions: Since New World wines burst onto the scene in the late 20th century, Chile and Argentina have been at the forefront of the revolution. Desert: The otherworldly Atacama desert offers clear skies, lunar landscapes, salt flats and geysers. Cities: Enjoy the vibe of Buenos Aires, Santiago and Valparaiso. A great bookend to your Chile and Argentina experience. We value your time. By using our expert knowledge of Chile and Argentina, we have created these classic highlights by region so that you can curate them into your own unique itinerary. If however, you simply want to build your day by day adventure you can do that too. Create your own tailor-made itinerary by combining those Classic trips which excite you the most. Northern Chile and Argentina offer perhaps the most diverse mix of highlights. Atacama Desert: Otherworldly desert scenery, geothermal fields and geysers. Iguazu Falls: Lush jungles surround the vast falls on the Argentinian/Brazilian border. Salta: Sultry vineyards, brilliant red rocks in the Valley of Shells, lunar landscapes of the Purmamarca salt flats and vibrant culture rich in dance and folklore music. Vibrant cities of Chile and Argentina are distinctive and special, though all share remarkable murals and street art. Buenos Aires: A city of passion and flair; home of the Tango and has an edgy undertone. Santiago: Cosmopolitan and historic, Santiago's delightful barrios each have their own character. Meanwhile vineyards encroach within the city boundaries. Valparaiso: Steep sided and multi-coloured Valparaiso was once home to the poet Pablo Neruda and is best explored by the many historic funiculars adorning the hillsides. Chile and Argentina both have a rich wine heritage and their wines attract worldwide acclaim. 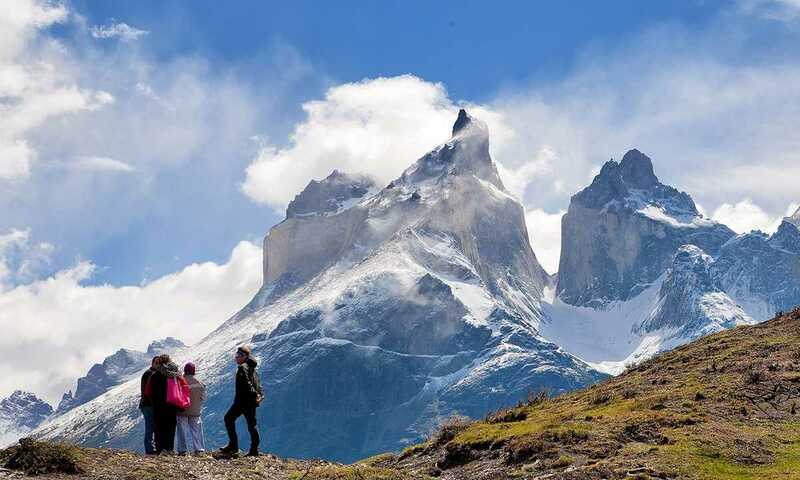 Chile: Experience the winelands through daytrips from Santiago, staying at an all inclusive vineyard or exploring the Maipo, Colchagua and Casablanca valleys with a private guide. Argentina: Mendoza remains the undisputed wine capital and can be reached by plane from Buenos Aires. The Lake Districts of Argentina and Chile are a delightful mix of snow-capped volcanoes and mountains, combined with forested hillsides and glistening lakes which offer a rich seam of activities, adventures, accommodation and self-drive opportunities. These two regions can be combined with a cross border excursion. Argentina's Lake District: Enjoy Bariloche, Villa La Angostura and San Martin de los Andes as you drive the famous ‘Route of the Seven Lakes’. Chile's Lake District: Base yourself at the lovely lakeside town of Puerto Varas before perhaps, driving Chiloe Island with its curious combination of foods, folkloric tales and music. Chile and Argentina are rich in wildlife by land and sea. Valdes Peninsula: A wildlife lover’s paradise. Southern Right Whales (June-December), Orcas and dolphins fill its waters while Southern Elephant Seal, Sea Lion, and Magellanic Penguin colonies line it’s coasts. Francisco Coloane Marine Reserve (Chile): The Straits of Magellan adjoin Francisco Coloane Marine Park which is home to Humpback whales (December-March). Mountains, lakes, glaciers and more mountains! This is the iconic heartland of Patagonia that draw visitors to Chile and Argentina. Torres del Paine (Chile): The breathtaking Paine massif is home to the legendary W Trek, the Paine Full Circuit and Glacier Grey. 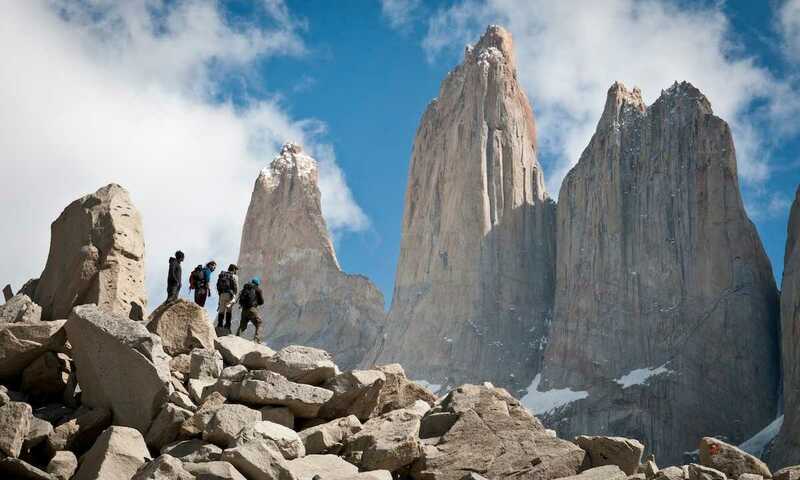 Los Glaciares (Argentina): El Chalten offers epic mountain scenery and hiking within sight of Mt Fitz Roy and Cerro Torre. Use El Calafate as your base to explore the Perito Moreno Glacier. Aysen (Chile): Beautiful Aysen is untamed and untouched. Its mountains and temperate rainforests are beginning to become accessible and are an exciting new destination. The very name of Tierra del Fuego conjures images of daring do, great explorers and journeys to the ends of the earth. Expedition cruise: Follow the path of Magellan, Darwin and FitzRoy aboard an expedition cruise through the Beagle Channel and Straits of Magellan, landing at Cape Horn and marvelling at the countless tidewater glaciers in the Darwin Range. Ushuaia: Visit the historic prison museum or enjoy the many activities including, hiking, kayaking and winter sports. After exploring and selling Chile and Argentina for four years, I have loved designing these tours for our first time visitors to these wonderful destinations. You can book these tours as they are or tailor make your own individual itinerary using the above trips. What are the highlights of Chile and Argentina? Can I change something in a Classic Trip? No problem if you want to add/delete nights or change the accommodation. Just ask us and we will advise what is possible. Which Classic Trips can I combine? Select those trips which most appeal to you and we will help you put them together in the most efficient way to minimise unnecessary time spent in airports and money spent on additional flights. Can I combine Classic Trips with other trips? Classic Trips are designed to dovetail together and can only be combined with others in the Classic Trips collection. If you would like any other trips on our website, please just ask us and we will tailor-make your unique itinerary.